My name is Pauline Inwood and I joined Liberty Trust after I heard an address by Pastor Bruce MacDonald to our church, Living Well in Rotorua, in 2007. At that stage I was a self-employed veterinarian with my own practice, but I saw that the contributions could either help me to get my own property by the time I retired or help me to pay off an existing mortgage. 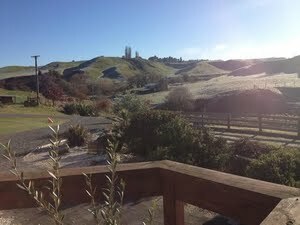 I already had a house which I rented out in Opotiki, but didn’t see that as my retirement home and have since sold it. I set a high savings contribution level of $100/week which I managed for about four years, but with the general rural downturn in 2011, I found that I could no longer save at that level so I dropped my payments back to a more realistic level. I sold my veterinary business in 2011 and began working as a rural farm and nutritional consultant. My income wasn’t regular or substantial so my contributions faltered again. However, in late 2013, I was notified that provided I could meet the savings target of $35,000, I would be offered an interest-free loan of $175,000 within the year. I managed to make that target in April of this year, but then I couldn’t find a property that I wanted to buy. Finally, a 22-acre lifestyle property in Mangatete Road, Ngakuru became available and I had a look at it. I took my good friends along to have a look as well because I was away travelling with my new job and they advised me to “go for it”. My daughter, Donna, working in Australia came home for a holiday in May and she took one look and fell in love with the place too. The only downfall was that she could get a first mortgage with a bank, but that left Liberty Trust with a second mortgage. Reading the literature that we had been sent, we thought that there was no way we could proceed with the purchase until I rang Liberty Trust, who advised me that they could accept a second mortgage provided they had enough security. We made a ridiculously low offer on the property and within a few weeks with a few adjustments, the offer was accepted. That was merely the beginning though of several high and low points where the purchase was on and then off and then on again... It took an awful lot of blood, sweat, and tears before there was an agreement in place that accommodated all parties to the purchase. 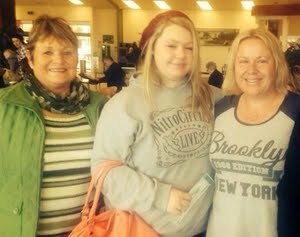 I signed my share of the Liberty Trust loan to my daughter Donna, who was then able to get the rest of the mortgage from Kiwibank. Without my contribution, she would have been unable to proceed. Donna has gone back to Australia to work and I have a wonderful home and farmlet on which I am grazing dairy heifers. The income from the heifers provides enough to cover the insurances and rates and fertilizer for the property and I will also contribute to the mortgage and Liberty Trust payments. Now that I have reached retirement age, but since I am still working part time as a vet for Asure Quality, I have decided to set up another contribution to Liberty Trust for any of my grand children who might need it. I won’t have a substantial estate when I pass on, but I will be able to help one of my grandchildren to provide a deposit for their own home. I have one lot of advice for any people who want to join Liberty Trust. Just join at whatever level you can afford to contribute. You can make top-up payments if your circumstances change, or drop contributions back if you can’t afford it. I regard Liberty Trust as a safe savings scheme when you are also helping other Christians into their own homes. But when you are offered your loan, work with the Liberty Trust lawyers for your setting up your mortgage. In the long run it will save you a heap of money.